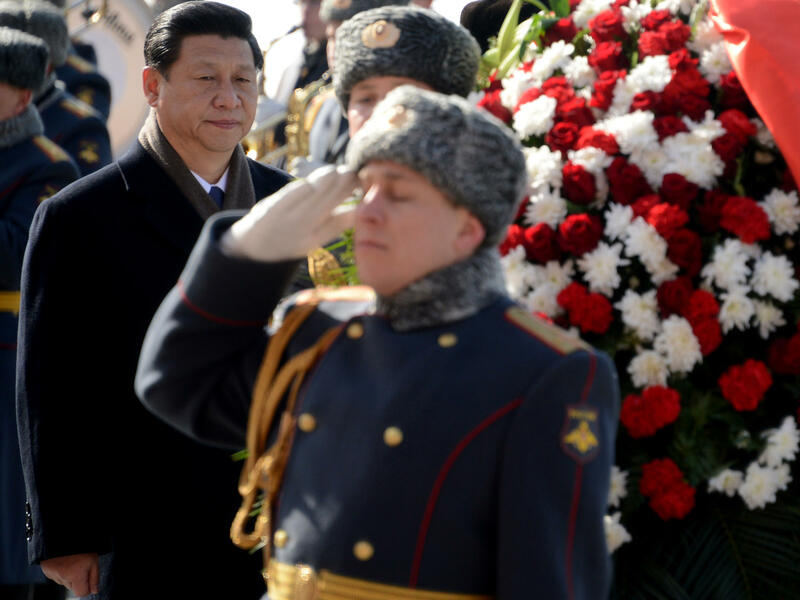 Chinese President Xi Jinping lays a wreath at the Tomb of the Unknown Soldier in Moscow on Friday. Newly installed Chinese President Xi Jinping is following in his predecessor's footsteps by making Russia his first official trip abroad. The visits by Xi and Hu Jintao before him (in 2003), both meeting with Russian President Vladimir Putin, reinforce how the Cold War rivals have grown closer as they seek to counter U.S. influence in Asia and Europe. Ahead of his arrival in Moscow on Friday, Xi said the Sino-Russian ties were aiding global security and helping create a more equitable world order, according to The Associated Press. Meanwhile, Putin told the ITAR-Tass news agency that the trip underscored the "special character of strategic partnership" between the two nations. "China has long sought to draw Russia's Gazprom into agreeing to supply natural gas along a proposed pipeline from east Siberia. 'Pipeline oil and gas cooperation is a good thing that benefits both sides,' Chinese Vice Foreign Minister Cheng Guoping told reporters in Beijing this week. 'It suits both sides' energy security needs and national interests.' "
"China and Russia have often stood together at the United Nations Security Council in resisting Western efforts to impose stronger sanctions or pressure on Iran, North Korea, Syria and other points of international tension. Recently, both governments voiced misgivings about the United States' plans to deploy 14 new missile interceptors in Alaska, where 26 of the existing 30 are already in place, in response to threats from North Korea. "Yet despite the displays of goodwill likely between Mr. Xi and Mr. Putin, experts say that the relationship between the two countries is burdened with Russian wariness and Chinese frustrations. Some Russians worry that China's growing economic and military strength could eventually displace their country's influence, especially in the sparsely settled regions of the Russian far east."